This modern apartment, built as part of the highly regarded Revival development in 2012, stands within one of two blocks to the front of the development, with mature trees to the front and private car park to the rear. The property still benefits from some of its Buildmark cover, via NHBC, and is well maintained and presented, decorated neutrally throughout and with modern and stylish fixtures and fittings. Accessed via a secure door to the rear of the building, from the car park, the property is situated on the first floor through a further fire door. As is standard with these apartments, the entrance hall is spacious, allowing for additional storage furniture to work alongside the large hall cupboard which also houses the hot water tank. From the hallway, the lounge is a well-proportioned reception room with plenty of space for furniture. French doors open out onto a Juliette balcony which allows plenty of light into the room and would be a pleasant feature in the summer months. Connected to the lounge, the kitchen is tucked away yet offers a surprising amount of space and storage. Fitted with a range of high gloss, cream wall and base units with contrasting timber effect worktops over, the kitchen is as modern and stylish as you would expect in a property of this age and quality. Integral appliances include an electric AEG oven and hob with extractor over, fridge freezer, washing machine and dishwasher. Bedroom one is beautifully presented and offers plenty of space for furniture alongside wardrobes already fitted there. A good sized uPVC window overlooks the front aspect of the apartment block. Bedroom two would also accommodate a double bed and again, benefits from a uPVC window to the front aspect. The spacious house bathroom is fitted with a modern white suite comprising; low level WC, pedestal hand basin and a shower over the bath. The walls are part tiled with immaculate, modern tiling and a heated towel rail, shelving and bathroom cabinet are also fitted. 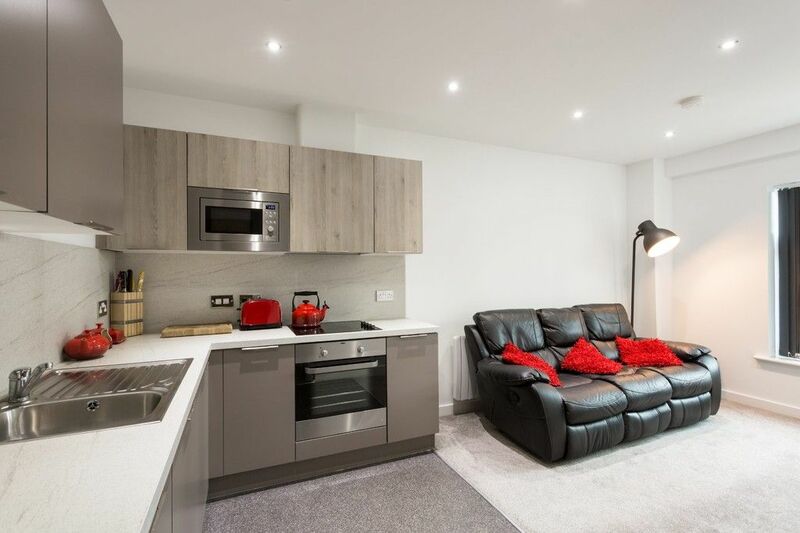 The apartment benefits from an allocated parking space within the car park to the rear, access to the secure, communal, bike store and from the communal use of the parkland area to the rear of the development. Scholars Court is ideally placed for easy access to the A64, York&apos;s outer ring road and the city centre. There are superb public transport facilities and major supermarket just a short walk away.